The reason for posting this is that the core is the link between the lower and upper body. If it’s a weak link, performance will suffer despite any other training. Think swimming – what turns your chest on edge while breathing and back again, your core. Running, what stabilizes your back, your core. It’s important and should not be overlooked. This excerpt is from the book, Delavier’s Core Training Anatomy. It’s published with permission of Human Kinetics. 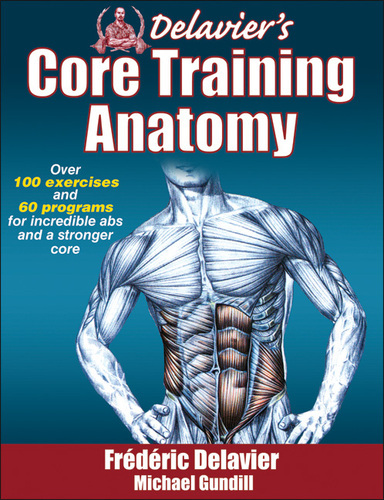 Purchase this book from Human Kinetics and help keep MyTriathlonTraining.com in business! The very first step in creating your core workout program is to be specific when defining your goals. Are you working out for these reasons? Often, your goals may be a combination of several of the items listed. However, if you do not define your goals well, it will be difficult to establish an optimal program. Write down your goals on paper so that you can read them before every workout. double the number of sets I can do in 10 minutes to increase my endurance within 15 days.